*This posted was updated in January 2019. As a social worker and a constituent, it is important to establish a relationship with your legislators as they make decisions on your behalf- whether it’s to continue funding a program that serves your clients or funds your current position or a policy decision that impacts how your clients are served. 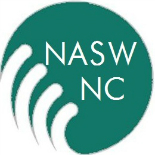 NASW-NC is here to help you develop a relationship with your legislator. We are introducing a new series to be used to help you establish that relationship and a tool we hope you will use as you plan to join us in Raleigh for Social Work Advocacy Day. Step 3: Attend Advocacy Day and meet your legislators in person. You’ve emailed your legislator. You’ve called them on the phone. Now visit them in person! Here’s how to plan for that visit. Professional dress IS required to attend Social Work Advocacy Day and should be worn when meeting with your legislator any other time as well. The best way to think about professional dress is: What would you wear to a job interview? This event will be a fun and exciting way to learn more about advocating for your profession and your clients! During Advocacy Day, you will be representing the profession of social work whether you are a student or a working professional. We want to promote the profession and that means dressing and acting in a respectable manner. NASW-NC invites you to dress your best and represent your school/alumni colors on Advocacy Day. This is a great way to show how many schools offer social work programs. Should you have any other questions regarding Advocacy Day or planning a meeting with your legislator, please do not hesitate to contact Kay Castillo at advocacy.naswnc@socialworkers.org. This entry was posted on February 4, 2015 by naswnc in Advocacy and tagged Advocacy, macro social work, NASW, NASW-NC, NCGA, Relationship Building, social work, social work advocacy.